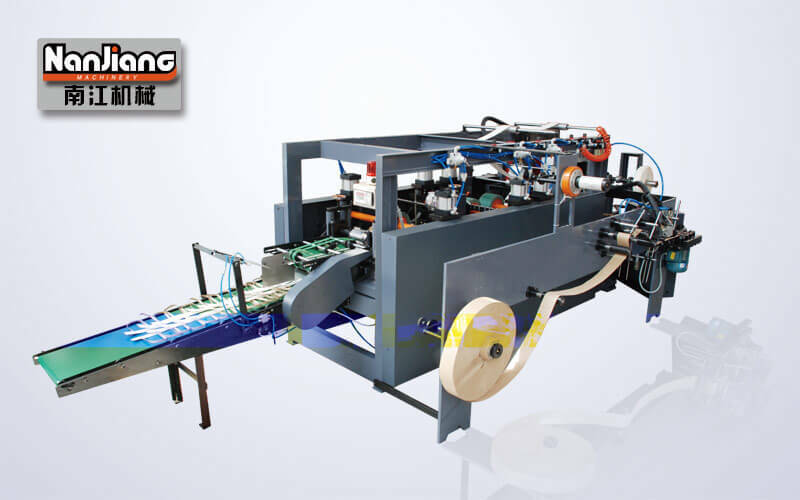 This is a high-speed machine for producing paper handles, it pastes twist paper ropes and paper together for handles, then cut off them in separate automatically. 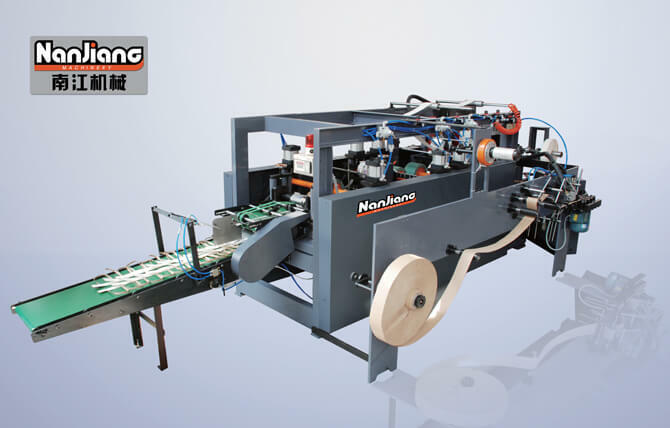 Besides, it has the functions of handles counting, handles putting in order and handles collecting. 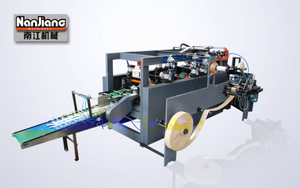 It is an ideal supporting machine of paper Handbag Making Machine.